Ant Phillips left Genesis as early as 1970, citing stagefright, although the real reason may never be known. He recorded sporadically throughout the '70s, but for one reason or another nothing was released until '77, just in time for punk. Good timing. The Geese and the Ghost isn't even an 'in-your-face' sort of prog album; it's a gentle, reflective record, mostly acoustic, and thoroughly out of step with the prevailing ethos of the time. It is also quite wonderful, its pastoral lyricism an antidote to the (admittedly righteous) anger of punk. Largely instrumental, largely acoustic, The Geese and the Ghost shows the direction Genesis may have stayed in had Phillips not left; they probably wouldn't have been half as successful as they were, but they would have made some beautiful music along the way (not that they didn't, of course). Ant is credited with a whole slew of instruments, including Mellotron, but I can only hear it in two isolated bursts: a few strings chords on part four of Henry: Portraits From Tudor Times, Henry Goes To War, and a strings and choir swell in part two of the title track. There may be the odd other bit here and there, but I think they're probably the credited real violins, cellos and flutes. 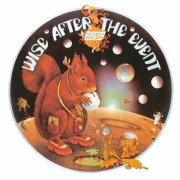 Ant's follow-up, 1978's Wise After the Event, is far better than I remember, the title track being at least the equal of anything Genesis were doing that year, while animal-rights anthem Now What (Are They Doing To My Little Friends?) belies its appearance as a wuss-fest. Ant (as 'the Vicar') plays Mellotron on Now What..., with previously-unspotted background string and choir parts, although they're hardly what you might call overt. The expanded, two-disc edition adds a couple of so-so unheard tracks and demos/instrumental versions of most of the album, including the backing track for Now What... with more obvious Mellotron choirs. Ant's Mellotron got its next airing two years later, on the, generally speaking, very poor Sides. 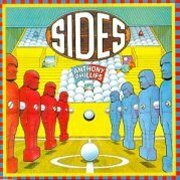 An album well-titled, it seems, as side one is truly awful, lifeless pop-rock, while Ant's better ideas were kept back for side two, although if you're expecting a re-run of The Geese and the Ghost, I'm afraid you're barking up the wrong tree. 'Better' is decidedly subjective, as Souvenir is the first track that couldn't be considered actively offensive. The album's best track is almost certainly closer Nightmare, although even that starts badly, only coming into its own during the long instrumental section. The CD's bonus track, a vocal-free version of Magdelen, proves that it's actually a pretty decent piece, spoilt in its original form by the vocals. Next to no Mellotron, with a few faint string chords in Bleak House, although there are a couple of other moments where a 'Tron part could be hidden in the mix. Overall, a bit of a disaster. 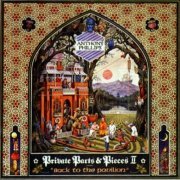 The second of Ant's never-ending Private Parts & Pieces (ho ho) series, Back to the Pavilion, is a massive improvement on Sides; admittedly, not a particularly tall order. It seems to be less a collection of previously-recorded material than a newly-recorded album, slipping between folky symphonic progressive (Scottish Suite), piano pieces (Lindsay), acoustic guitar workouts and meditative polysynth work (K2). Although it's not credited, that has to be Mellotron choirs on part one of Scottish Suite, Salmon Leap, with even more obvious strings on Amorphous, Cadaverous And Nebulous, as against the credited Polymoog. 1981's, er, 1984 is an intriguing album; Ant boldly entered a musical area where few had gone before (or since): full-on synth/prog. All-instrumental, this is, effectively, a forty-minute advertisement for Yamaha's CS80, roughly a million miles away from sub-Tangs EM. Think: heavily-arranged progressive rock, only played on a polysynth, backed by a drum machine. The actual composition doesn't especially bring Orwell's classic to mind, at least for myself, but it's a fine album, far better than expected. 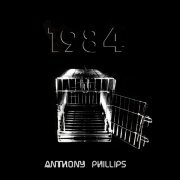 Ant plays occasional Mellotron, with a brief, high-speed flute part on 1984 Part 1 and choirs on Part 2, although other choir parts sound more like Roland's VP-300 vocoder. 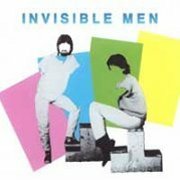 Ant's next relevant album is 1983's Invisible Men; it's not often you'll see me review the US version of an album over the UK one, particularly when it's by a British artist, but the album not only came out in the States several months earlier than in the UK, but also contains two (alleged) Mellotron tracks as against the UK's one (Exocet is replaced by It's Not Easy on the domestic version, for some reason). The CD, incidentally, contains all tracks plus three extras. The album? A million miles away from The Geese and the Ghost, to be honest; a collaboration with Richard Scott, whose chief contribution seems to be drum machine programming, it entirely consists of dodgy pop-rock of the sort you hoped had disappeared along with that horrible decade. Analogue synths may be sonically superior to digital (don't bother arguing), but not when they're used like this. Credited Mellotron on two tracks from Ant, with a few seconds of exceedingly faint choirs at the end of Exocet and a faint background sound on My Time Has Come which may be the same thing. Invisible? Shame they're not inaudible. The following year brought the fourth in Ant's ongoing 'bits'n'pieces' collections, Private Parts and Pieces Part IV: A Catch at the Tables, containing tracks recorded between 1979 and '82. 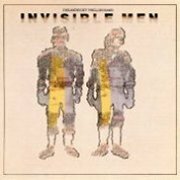 My relief at putting it on and hearing some soothing solo classical guitar after Invisible Men was quite palpable, I can tell you, although, like all of Ant's work, it's not the most exciting album you're going to hear all year. There aren't that many keyboards on the album, and most of what there is consists of very Tony Banks-influenced Polymoog, although Heart Of Darkness, recorded in 1980, has a pleasant 'Tron flute melody running through it. For Anthony Phillips, and to an extent, Genesis fans, Archive Collection Volume One is an invaluable document, collating an assortment of rare recordings, including many previously thought lost for ever. The most fascinating are Ant and Mike Rutherford's 1969-70 demos, including the legendary F Sharp, which, of course, mutated into The Musical Box. And Ant doesn't get a writing credit? Hmmm... The rest of the album's a bit of a mixed bag, with fragments such as Holy Deadlock (vocal mix) being for diehards only, although Study In G is a stunning guitar instrumental that belies Phillips' reputation for being a bit on the meandering side. Hunt Song (demo) is the album's sole Mellotron track, being a demo of Wise After the Event's Now What (Are They Doing To My Little Friends)?, although the final version is 'Tron-free; the demo has a string part running through most of it, though somewhat in the background, and is that brass I heard at one point? Anyway, despite its inevitably patchy feel, Archive Collection has enough material of interest to make it worth buying. 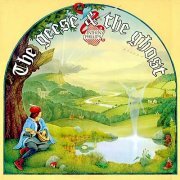 So; The Geese and the Ghost is a beautiful album, if not exactly something to leap around the room to, and Private Parts IV and the first Archive Collection are really rather good, too. Anthony Phillips has few equals in the field of acoustic prog, and I can wholeheartedly recommend these albums, though not really for the Mellotron. Avoid Invisible Men like the plague, though.